Are you making metal fabrications and you want to open your design horizon to the cost-effectiveness of castings ? Maybe you are a casting designer for a foundry and you want to optimize metal yield ? 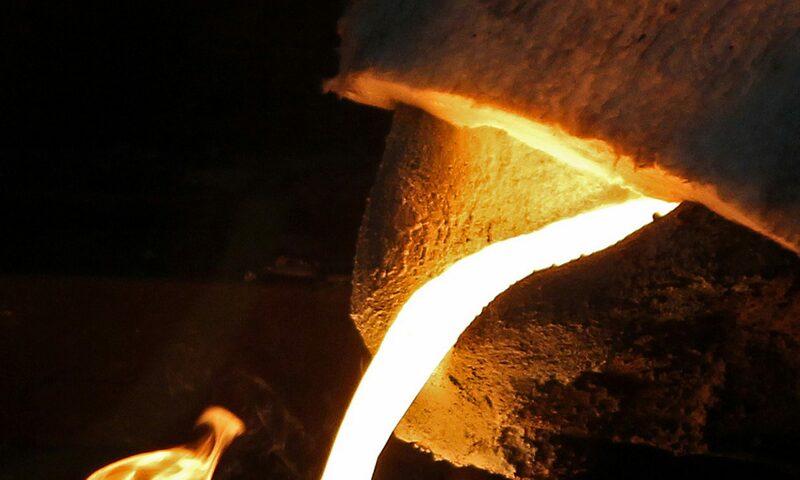 This article announces that SF and the engineers behind SOLIDCast, FLOWCast and OPTICast are now working together for cost-effective casting design simulation, comparison and optimization in Canada. 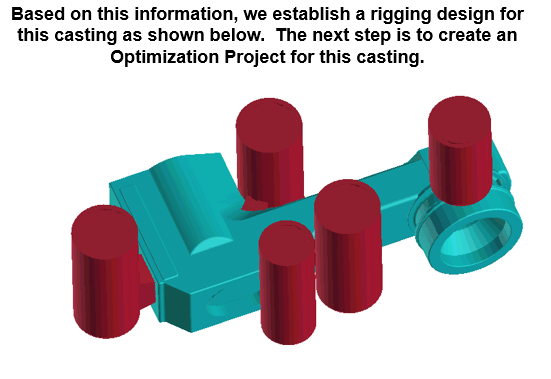 How do you choose from the casting simulation software list? Do you really need casting simulation? Thanks to the rapid progress of computer calculation capability and numerical modeling technology, casting simulation can quickly answer some critical questions concerning filling, microstructure, defects, properties, and final shape. Modeling can be used as a quality-assurance function and can also help reduce the time for responding to customer inquiries. It shifts the trial-and-error procedure used on the shop floor to the computer, which does it faster, more easily, with greater transparency, and more economically”. The know-how and experience casting process and design engineers developed during their career are not replaced by results provided by casting process simulation software. Instead, this analytical tool is employed to serve the experienced foundrymen so he can make even better castings. 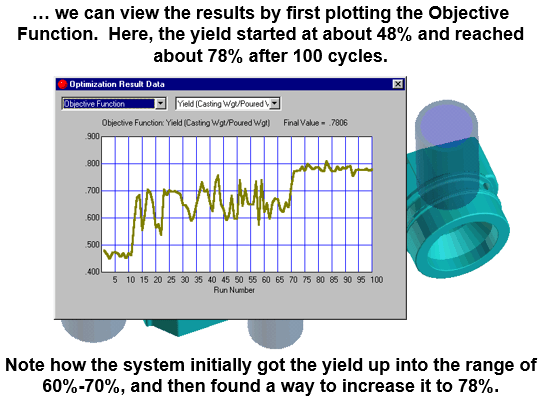 Take OPTICast and metal yield % optimization for example ( metal yield is the casting weight divided by the total weight poured including rigging and risering system ). 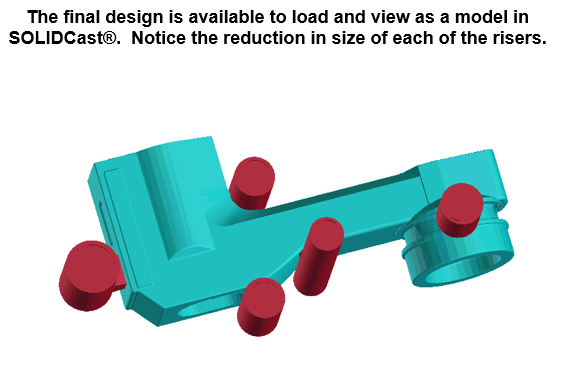 For instance, starting with an initial design by the experienced casting process engineer, this software will automatically optimize his initial design geometry to optimize metal yield, with corresponding cost savings. The following pictures are taken from the Powerpoint presentation published by Finite Solutions Inc., available at https://finite.solutions/finite-solutions-casting-software-training/. Why do almost 800 companies and schools worldwide use SOLIDCast™ ? BECAUSE IT WORKS!! No other casting simulation program offers the POWER, EASE OF USE and ACCURACY of SOLIDCast. Moreover, this new development with Finite Solutions Inc. for SF services is nicely complimentary to SF thermal analysis services. On one hand, SF can come on your foundry floor ( or the foundry you’re auditing ) with advanced MeltLab to measure the metallurgical quality of the melt, like shrinkage. 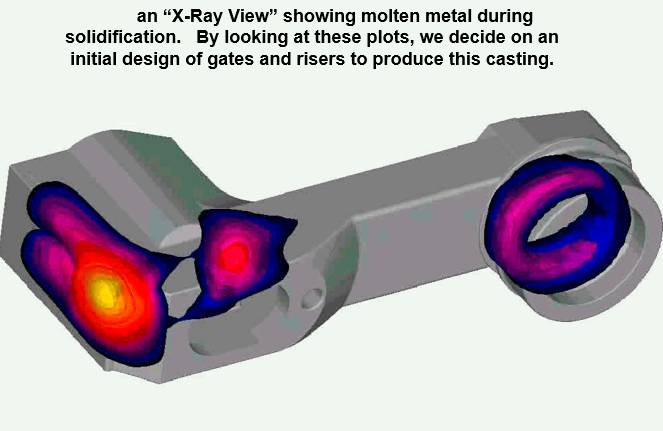 On the other hand if the metallurgical quality is good and controlled, we know we need to work on other process parameters, like the casting process design ; that’s where our design expertise and computer simulation service come into play in order to control parameters like metal flow, gating/risering design efficiency, casting geometry, etc. Our solid industrial experience as metallurgical and casting engineers glue SF services together. It all makes a lot of sense. Call or e-mail SF today and we’ll be happy to discuss your project. Next article will be on when to convert a welded assembly to a casting, or on sand testing equipment. Previous PostPrevious Were you at CastExpo 2016 with the SF team ? Next PostNext SF inc. first anniversary : it’s all about the people !